BBOSE Admit Card 2018: Bihar Board of Open Schooling and Examination has released BBOSE Admit Card 2018 for Secondary/ Sr. Secondary First Exam. Applicants can now download their BBOSE Exam Hall Ticket from here. The board is going to conduct First Theoretical and Practical Examination for Class 10th and 12th from 23-07-2018 to 09-08-2018. 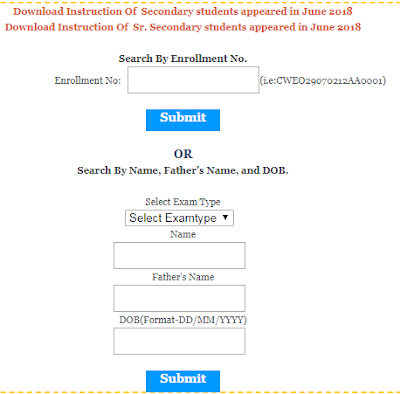 Students first have to download their BBOSE Exam Dates and then download BBOSE Admit Card 2018 to appear in the exam. Candidates are advised to download BBOSE First Exam Hall Ticket as soon as possible before appearing in the examination because without this they will not be allowed to enter the examination hall. Applicants who want to fetch more information in regards with BBOSE Admit Card 2018 they can go through below section of this page which is well created by the team members of www.privatejobshub.in. At last download BBOSE Call Letter and take hard copy of it for further usage. Bihar Open Schooling and Examination Board Patna have issued notification regarding BBOSE Exam Date for Class 10 & 12 on its official website. As per the notification, the board is going to organize Theoretical and Practical Examination from 23-07-2018 to 09-08-2018. Candidates can go through this Official Link to grab rest details of BBOSE Admit Card 2018. If any candidate has query or doubts related to this post, then they can type their comment in below comment box. Our experts will soon solve their queries.